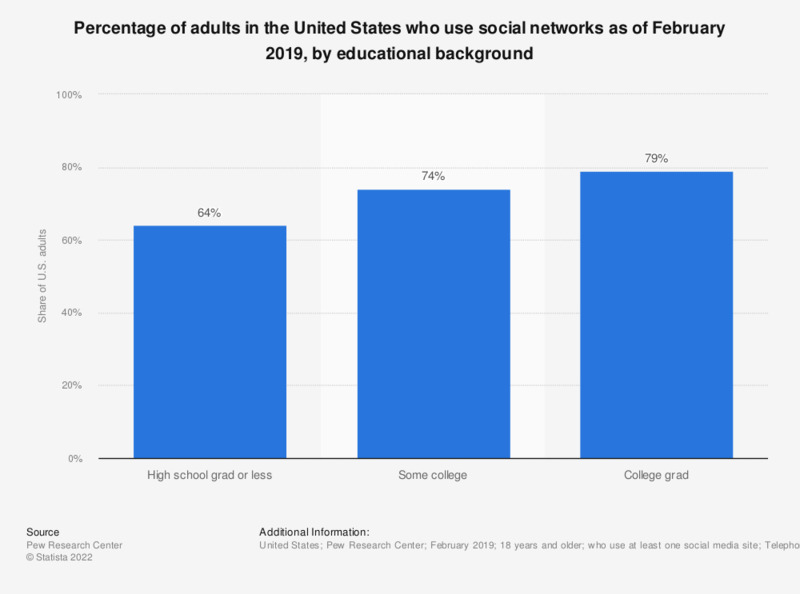 This statistic shows the share of adults in the United States who were using social networks as of January 2018, sorted by educational background. During that period of time, 79 percent of adults who had graduated college used social networks. In 2018, more than two thirds quarters of the United States population had a social media profile.